This is the third book I’ve read by Jane Linfoot, the second in this trilogy. Each one of these can easily be read as a standalone or in sequence. Sera is a very talented wedding dress designer working out of a little shop in Cornwall. She’s the shy one of the three placed in the awkward position of having to organise her high flying sister’s wedding over Skype. There’s two very handsome best men to contend with not to mention an unwanted ex all set in the delicious seaside backdrop of Cornwall. A book in three parts all depicting relationships. Sera’s relationship with her besties. Sera and her not so nice sister, Alice – and then there’s the men, yes more than one. I’ve always had a soft spot for Cornwall as we went there on our Honeymoon and Jane’s St Aiden brought back happy memories of a very beautiful part of the world. 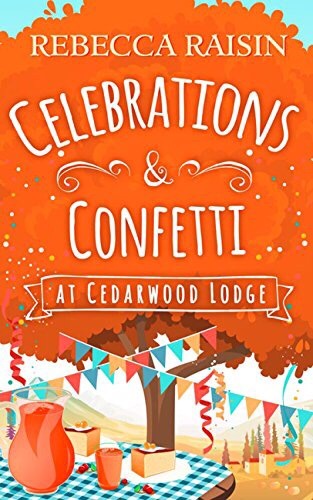 Her characters are depicted with heart, the stories woven around them believable but with a comedy twist that will have you giggling inanely to yourself. I eagerly await the last in the trilogy. I write fun, flirty fiction, with feisty heroines, and lots of heart. Writing is fab, because I get to wear pretty shoes instead of wellies. I live in a cottage up a mountain road in Derbyshire, where my family and pets are kind enough to ignore the domestic chaos. Happily, we’re in walking distance of a supermarket. I love hearts, flowers, happy endings, all things vintage, most things french. When I’m not on facebook, and can’t find an excuse for shopping, I’ll be walking, or gardening. On days when I want to be really scared, I ride a tandem. Christmas has always been Kate O’Connor’s favorite time of the year, but this season—despite her battery-operated twinkle-light earrings—she’s feeling far from festive. In fact, she’s wallowing in a generous dose of self-pity over the loss of her father, the train wreck that was her engagement, and an unsavory setback in her career. To make matters worse, her boss at the Cline & Co. ad agency has volunteered her to be the one-woman welcoming committee for Gavin Whyte, the VIP client from across the pond who could be the key to saving their struggling business. Eager to prove she’s a team player, Kate resolves to show Gavin a good time, hoping his dazzling blue eyes, his delicious Irish accent, and her own propensity for disaster don’t cause her to torpedo the company’s chances of recovery. A Whyte Christmas. A tall dark and handsome Irishman travelling to and fro to New York while he sets up the advertising for a new drug for the pharmaceutical company he works for. A sweet American woman, a little round, a little frazzled a lot of trouble in the ‘things always happen when she’s around like falling into his lap on their first meeting kinda trouble.’ A horrible ex fiancé, a weird boss and a cute but inappropriate neighbour. Throw all these into a big pot and out pops a lovely read. 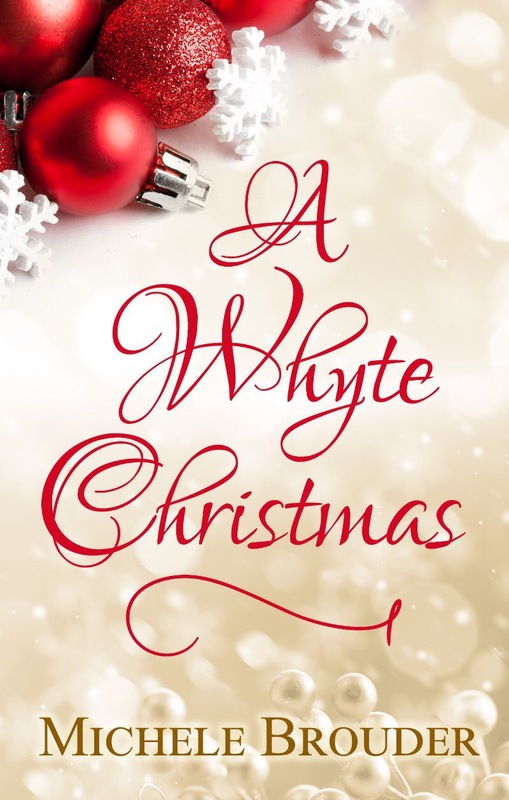 A Whyte Christmas has all the elements needed for a Christmas read. It’s got a great name, a fantastic cover and snow, lots and lots of snow. It’s well written and fun. I seriously read this until the small hours but get this, I saved the last 6 % so I could savour the ending with my morning cuppa. 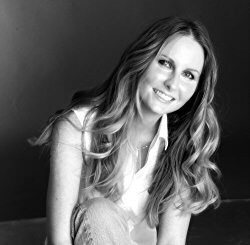 Michele Brouder is the author of Claire Daly: Reluctant Soul Saver, the first installment in The Soul Saver series. Her second book, a holiday romance entitled A Whyte Christmas is currently available for pre-order until November 11, 2016. 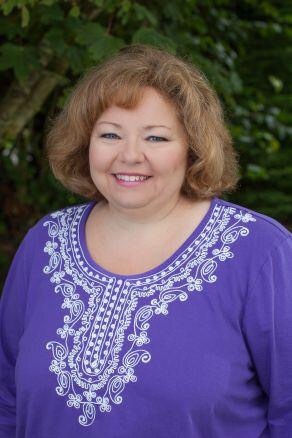 She contributes to the blog at Book in a Week, named by Writer’s Digest as one of the top 101 websites for writers. 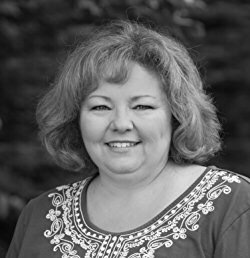 She loves to hear from readers so feel free to drop her a line at michele@michelebrouder.com Sign up for her newsletter at her website http://www.michelebrouder.com and receive a free follow up short story to Claire Daly: Reluctant Soul Saver. Originally from western NY, Michele has lived in the southwest of Ireland since 2006 except for a 2 year period when she and her family lived in Florida. She lives with her husband, two boys and a black lab named Rover. 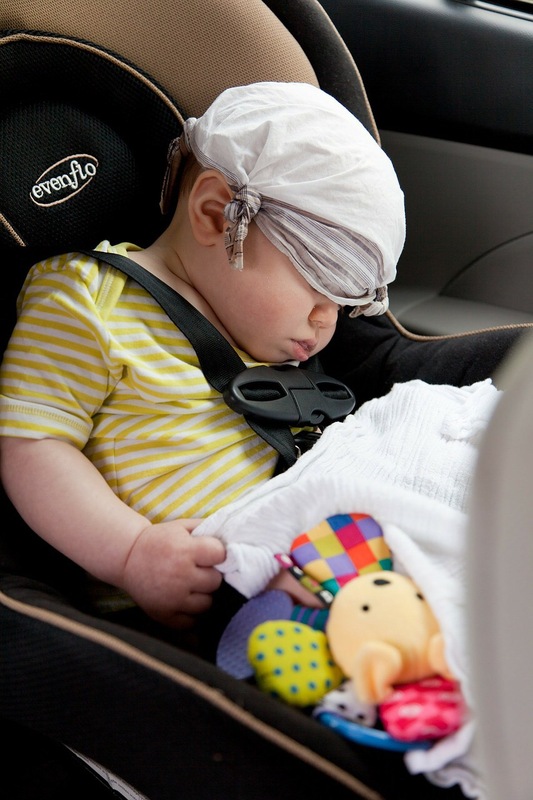 The beach is her go to place: any beach, any weather, any time. Well it’s so long and goodbye from me. Thank you all for the great party. Thanks to the writers, and all the readers that have popped by. I’ve never been as busy as this last week. As a reminder here’s all those lovely writers doing what they do best, writing and working together in sharing what they write. Jane has very kindly allowed me use all the recipes from the back of her latest Christmas book’ Christmas at the little Wedding Shop. This is the perfect Christmas drink … Cream, shaken with ice, vodka, peppermint schnapps and white crème de cacao, served with a candy cane. Yum. Pour the ingredients into a cocktail shaker, and shake until chilled. Strain into chilled glasses, then add the candy cane. Simple to make, and delish to drink long or short. I love the cherries and the name. Pour Advocat into a glass, top up with lemonade, and add a squeeze of lime to taste, and decorate with cherries. For an extra luxury, add a dash of vodka or cream. For a special Christmassy touch, dip the glass rims in melted white chocolate and dessicated coconut. This can be drunk long in tall glasses, or in shorter ones, with less lemonade. Pop the rum, lime juice and crème de menthe in a cocktail shaker with ice and shake until chilled. Strain into glasses, top up with sparkling wine, and garnish with a lime twist. Simple to make, but if you save the cream to add at the end, you get a snow caps on the ice mountains. 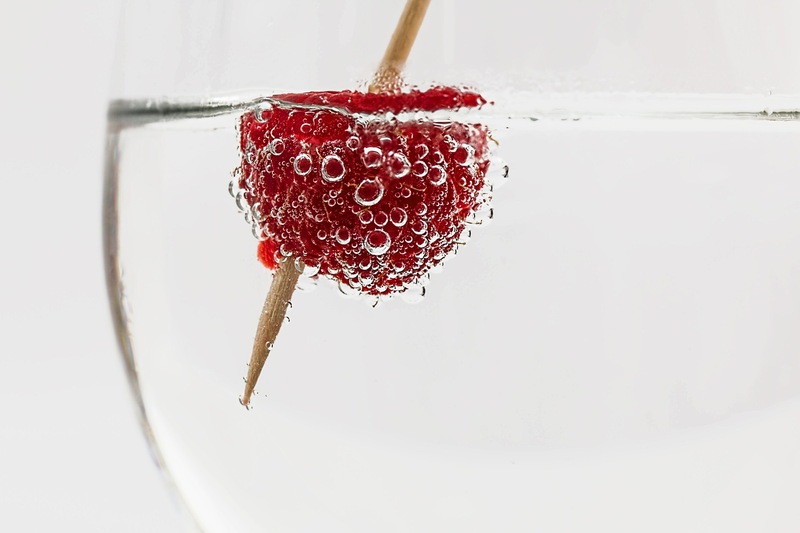 Combine the ingredients in a mixing glass, then pour over ice cubes in the serving glass. Or, for a dramatic snowy topped drink, put ice in the serving glass, pour the coffee liqueur and vodka over, and then float the cream on the top. Strain into glasses, top up with sparkling wine, and garnish with a lime twist. I write fun, flirty fiction, with feisty heroines, and lots of heart. I’m Jen and I write. Without a word of a lie I’ve had the busiest blast of a week with hosting this party, the upside being there’s little clearing up to do after. 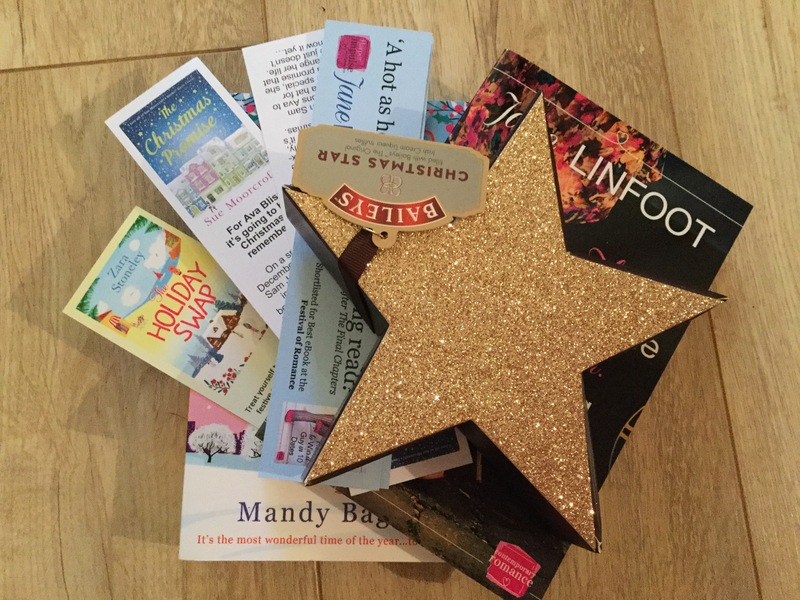 This wonderful prize is heading out to JOBW’s competition winner, Rachel Gilbey. A huge thank you to the writers for their kind donations. Linn B Halton, has managed to write something for me. You might remember I reviewed her delightful book ‘A little Sugar, a lot of love’ couple of weeks ago? 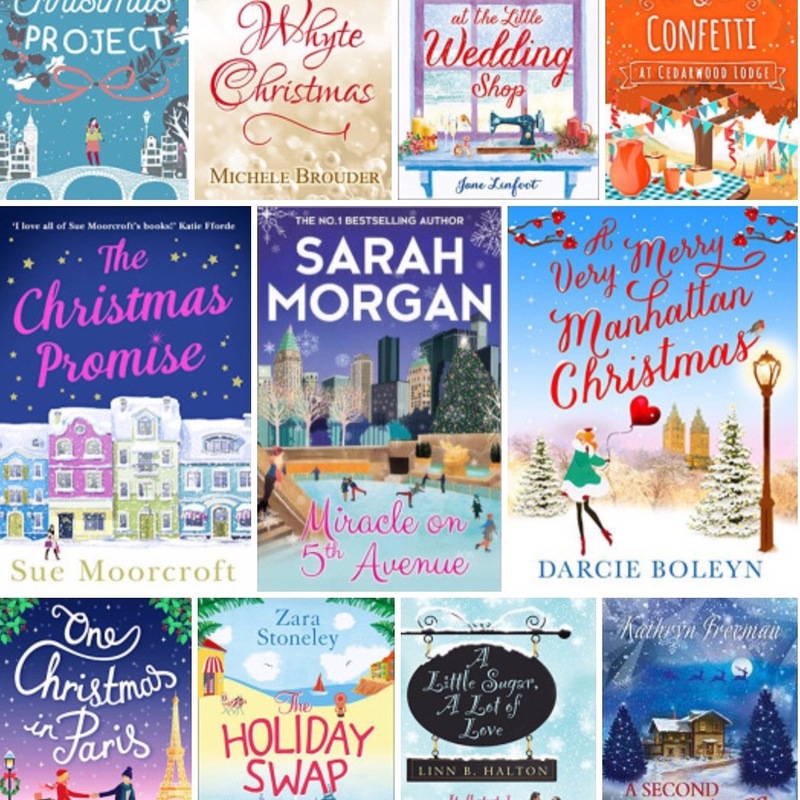 The fact that Christmas-inspired stories are so popular reinforces my belief that no matter what age we are, we all like to ‘get in the mood’ and feel a little bit of that Christmas magic! But what about the times when you are going through those trials life keeps throwing in the way? The ones you can’t dodge, or resolve – when your heart is heavy, or it takes all of your energy to keep everything together? And what if you still have to make Christmas happen for the ones you love? Relax, stay calm – what you need is to grab as many little escapes as you can to de-clutter that mind, take a break from the stress and get in the mood. 1. Light those Christmas candles – whether you are a pine cone, mulled wine, cinnamon stick, or vanilla lover – choose a scent that makes you feel nostalgic. Not sure they do an eggnog one, but you never know! 2. Background music is very important. Even if you don’t think you like those Christmas oldies, you will find yourself mumbling along at some point. 3. 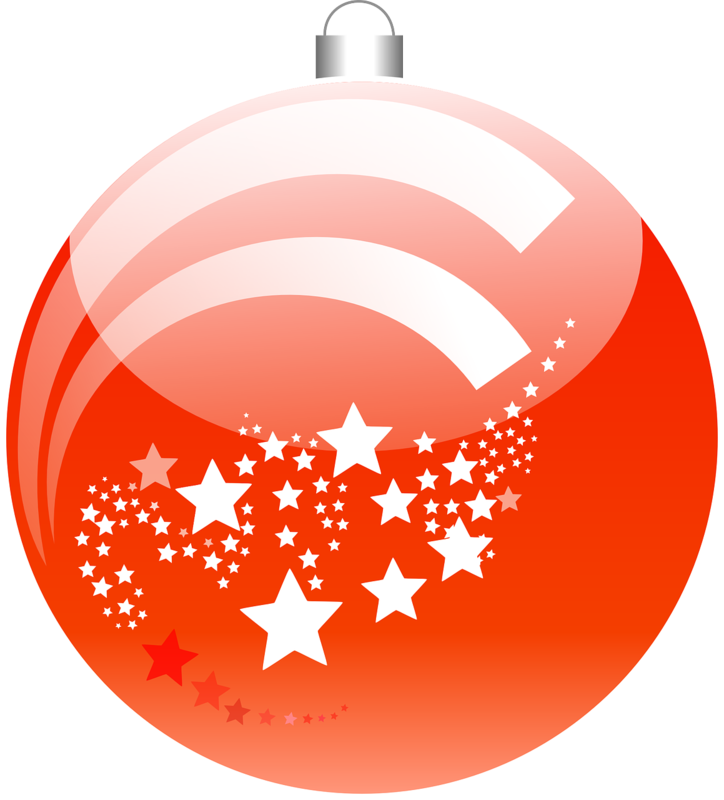 Curl up with a Christmas read and indulge yourself. Get away from those problems and let the characters take you on a journey. This is about making time for YOU. If chocolates and wine are involved, that’s a bonus! 4. Treat yourself to a pamper bubble bath and face pack. Take your candles and music with you and laze back. If you don’t have a lock on the bathroom door then hang a ‘do not disturb’ sign. 5. Spend some time with kids – if you don’t have any of your own, then invite over those nieces, nephews, godchildren, or babysitting for some grateful parent! Sit and make paper chains, or get out the glue and the glitter. I guarantee it will lift your spirits to be reminded of how exciting Christmas is to a child. The recipe is easy and it’s all about ambience and making a little time for YOU. What lifts the spirits is often something as simple as a smell you connect with happier times, or listening to some of those age-old Christmas songs! Your problems may not dissolve as fast as the bubbles in the Christmas fizz, but happiness is infectious and that’s precious! It’s not the expensive presents that make it a memorable time, but the small things people do for each other and the quality of the time they spend together. Bristol-born Linn B Halton lives on the edge of the small market town of Cinderford, in the Forest of Dean, in the UK. 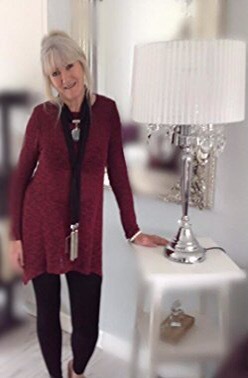 An Amazon UK Top 100 best-selling author with A Cottage in the Country in November 2015, Linn’s novels have been short-listed in the UK’s Festival of Romance and the eFestival of Words Book Awards. Linn won the 2013 UK Festival of Romance: Innovation in Romantic Fiction award. Jenny O’Brien was born in Ireland a very long time ago. 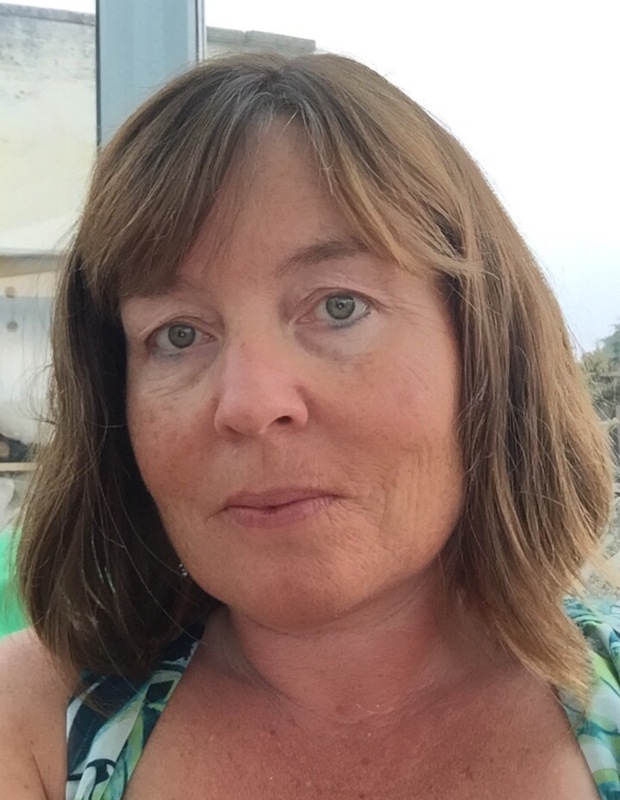 She’s an avid reader and book reviewer for NetGalley in addition to being a 2016 RONA judge. She writes for both children and adults with a new book coming out every six months or so. She’s also an avid collector of cats, broken laptops, dust and happy endings – two of which you’ll always find in her scribblings! She lives in Guernsey and, in her spare time she can be found frowning at her wonky cakes and even wonkier breads. You’ll be pleased to note she won’t be entering Bake-Off. 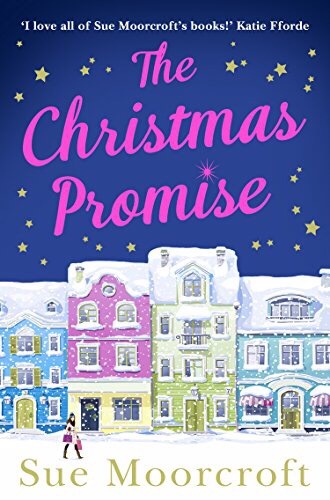 The penultimate day of the party and today it’s Michele Brouder’s turn who’s delightful Christmas read was published yesterday. Things are a little different in the Brouder household as thy combine both Irish and American traditions. Hey, Jenny, thanks for having me here! I love Christmas time, plain and simple. Growing up, Christmas was big in our house. There were 5 of us and we were pretty well-trained not to ask for anything when we went into a store with our parents during the year. However, at Christmas, my mother went all out. I remember back in the ‘70’s she had a Christmas club account at the bank and she diligently put away for Christmas. My father’s forte was exterior illumination and decoration ala Chevy Chase in Christmas Vacation. There was a lot of baking going on, the tree lights were on all the time and there was always Christmas music playing in the background. I loved the anticipation of the big day as well as that period from Christmas morning until New Year’s when the gifts are still new, the holiday treats are still in abundance and the tree is still lit up and there was that content, happy feeling that permeated that week. But the most enjoyment I’ve had has been as a mother, especially when my boys were young and they were all about Santa Claus. Their innocence was both blissful and magical. Nobody loved Christmas more than my older son, Daniel. There was a Christmas where he didn’t speak for 2 days as he was so overwhelmed. Even in some lean years, I can always count on him to sit back and declare: “This was the best Christmas ever!” My husband has reigned in my exuberance a bit and I hold off until December 1st before I decorate or play Christmas music. On December 8th, the 4 of us go in search of our Christmas tree. When the boys were little, I let them hang ornaments and decorations and it was funny because everything on the walls was knee-high and all the ornaments were in a cluster at the bottom of the tree. We baked Christmas cookies together every year and I tried not to wince at the 2 inches of icing or the pile of sprinkles on each cookie. One year I had little silver balls and I looked over to see that my son had put the whole container on one cookie. About 57. My husband and I have combined my American traditions with his Irish ones to create special memories for our boys. I love Christmas in Ireland as everything shuts down for the week and there is a lot of visiting back and forth. But I miss snow on Christmas. In Ireland, they do Christmas cakes instead of cookies and I can always count on my sister-in-law to bake us one. Christmas Eve was big in my family so we do a dinner and then head off to Mass. We do a turkey and a ham on Christmas day. Mike cooks the ham the way his mother used to. It’s nice to have all those leftovers during the week. November 11th and the party’s still on. Tomorrow it’s Michele Brouder with her book A Whyte Christmas, which I’m reading at the moment. 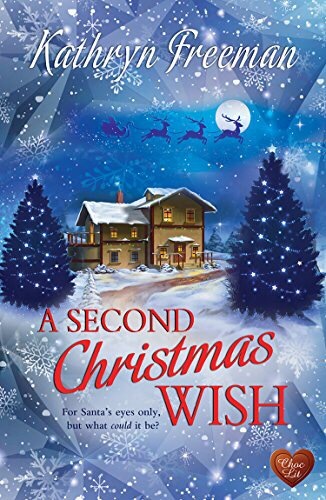 It’s actually book launch for Michele so here on the blog we all wish her well with her very festive read. I’m one of those people that Christmas isn’t the same unless I get my annual fix of both My Fair Lady and The Sound of Music. As I’ve aged I’ve added Love Actually to the list, and funnily enough it’s one of Maxine Morrey’s favourites too. Christmas is one of those times when you (hopefully!) get the chance to flop on the sofa, surround yourself with enough supplies to prevent you having to move from your comfy position for several hours and just veg out. When the opportunity arises, what better way to enjoy it than to indulge in some fabulous festive filmic fare? This DVD has been played so many times that it may well need replacing before too long. There are so many things I love about this film, from the clever writing, to the interwoven characters to the way it highlights that not everyone’s Christmas will fit into the expected ‘traditional’ mould – because life is a lot more complicated than that, actually. It also has one of my favourite scenes ever – that of Hugh Grant dancing through Number 10 to ‘Jump’ by The Pointer Sisters. Hard to beat. If Will Ferrell’s man child portrayal of Buddy the Elf doesn’t warm you, then your heart must be as cold as a snowball! Seriously, it’s a 6’3” man in an elf costume who’s completely, and uninhibitedly, bonkers about Christmas. What more do you need? The film that launched what is probably now the most famous Christmas song ever. It’s perfect for snuggling under a blanket and indulging in. It’s snowy, funny, has amazing song and dance routines and is topped with that innocence of a time gone by. Take a well loved, classic Christmas tale by Dickens. Add The Muppets. Spend an hour and half indulging in pure, simple uncomplicated enjoyment. Done. I’ll be the first to admit that this isn’t the best film in the world but it does have its charms, and for me, they’re enough to overlook the slightly dodgy bits and some ‘interesting’ cast choices. It has snow (and sun), relationships, and Eli Wallach, as Kate Winslet’s new temporary neighbour – an ageing scriptwriter from Hollywood’s Golden Age – totally steals the show. It’s not meant to be deep – and it isn’t. It’s fun and fluffy and just right for Christmassy relaxation. Professional organiser Kate Stone has never – NEVER – been tempted to hit a client over the head with a snow shovel, but Michael O’Farrell is the most obnoxious – and heart-stoppingly gorgeous – man she has ever met. If he weren’t her best friend’s brother, she would not have waited on his doorstep in the freezing cold for five minutes, let alone an hour. As years went by, she continued to write, but ‘normal’ work often got in the way. 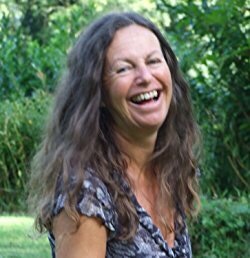 She has written articles on a variety of subjects, aswell as a book on Brighton for a Local History publisher. However, novels are what she loves writing the most. After self publishing her first novel when a contract fell through, thanks to the recession, she continued to look for opportunities. 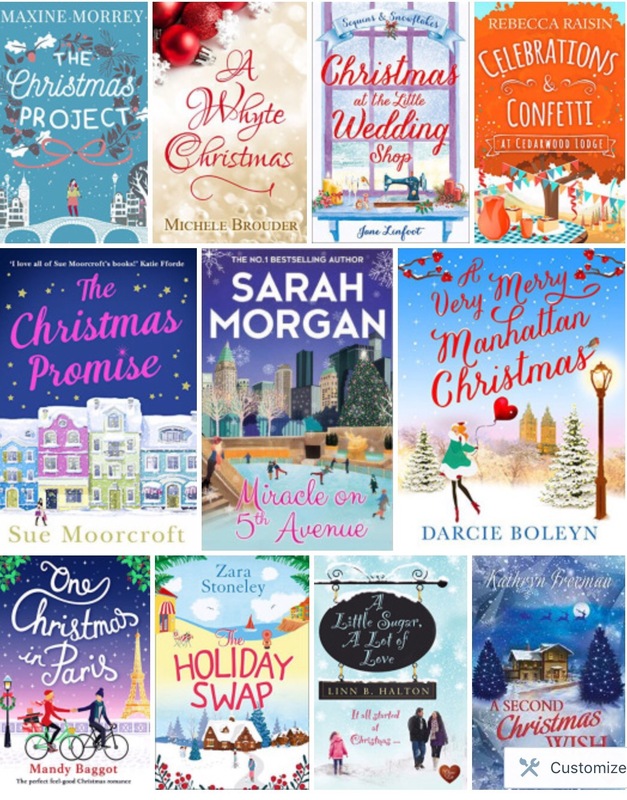 In August 2015, she won Harper Collins/Carina UK’s ‘Write Christmas’ competition with her romantic comedy, ‘Winter’s Fairytale’. 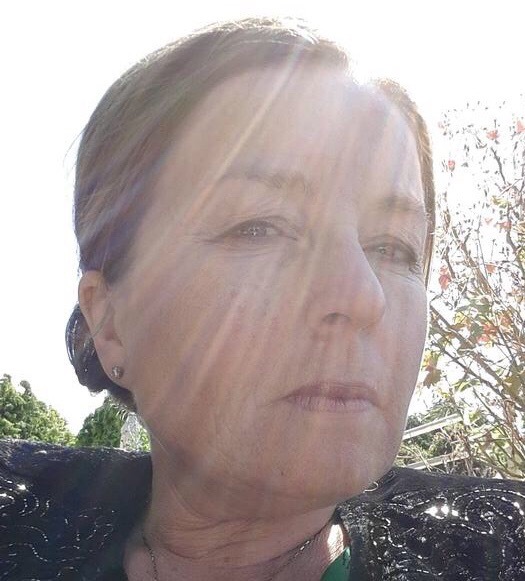 Maxine lives on the south coast of England, and when not wrangling with words, can be found tackling her To Be Read pile, sewing, listening to podcasts, and walking. I’m a book lover first, falling into writing by accident. I love all books and read cross genre with usually 2-3 book on the go at any one time getting through about 300 a year. Being a NetGalley reviewer is essential to my wallet! I also love travelling, this photo was taken in France, but not by me rather a good friend of mine. As you know over here at the party it’s Christmas book week. I don’t have all the Christmas books out there as they are legion, just pop down to your local book seller or internet outlet for lots more. Anyway sticking with the ones invited here’s a look at what people are saying. Just click on the link to take you over to Amazon. 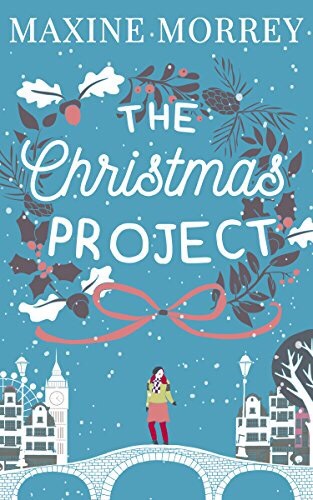 Finally tomorrow it’s the turn of the delightful Maxine Morrey, who’s book ‘The Christmas Project’ is available to pre-order. It comes out on my wedding anniversary so I think a little treat is in order. Ava Blissham is a couture milliner whose plans and career aren’t going to plan. House-sharing with her friend Izz in Camden, she’s invited to Izz’s works do where she meets Sam Jermyn (who runs the agency) and also bumps into her ex-boyfriend Harvey who has some explicit pictures of her on his phone. Making a connection with Sam, though curtailed both by Izz’s crush on him and Harveys actions, Ava agrees to a series of faux-dates with him after meeting his very ill mother who mistakenly thinks they’re in a relationship. As Christmas (a season Ava hates) gets closer and their meetings get more frequent, could the faux-dates be turning into something else? And then the photographs appear… I’ve been reading Sue Moorcroft’s novels since she began publishing and love the warmth and continuity of her Middledip books (though her last was set in Malta) and was unsure how setting this in trendy Camden would work but it does. 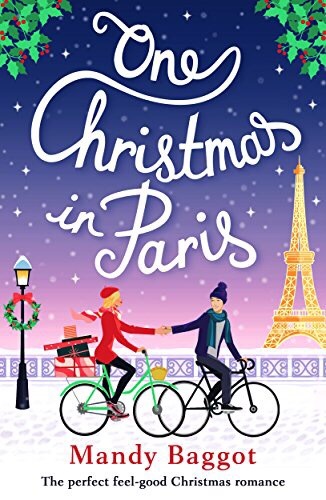 The London scenes are well worked, the ‘twist’ with Harvey and Ava is well-thought out and brilliantly executed, driving the plot even when you don’t realise it and the Christmas atmosphere is nicely sketched. 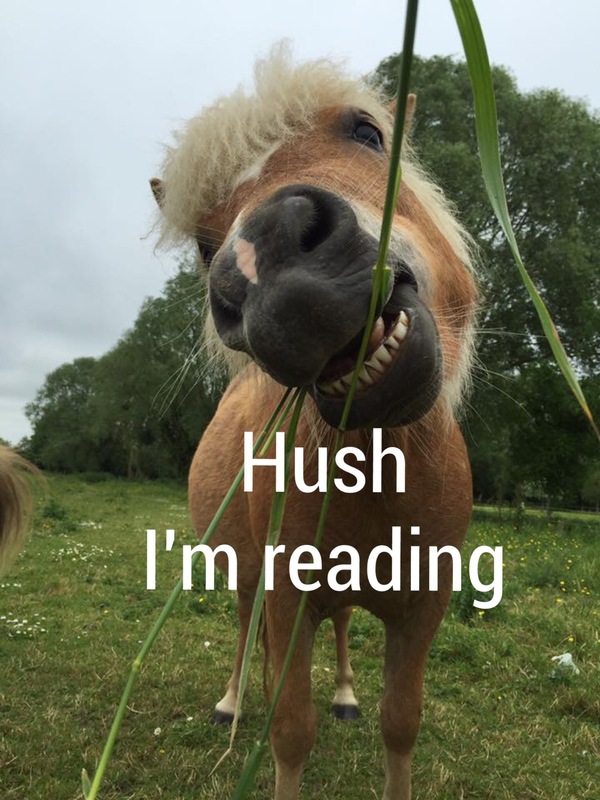 As with all of Sue’s books, the characterisation is superb, defined often with the lightest of brushstrokes but all of them come alive – we care for Ava and want the best for her, grind our teeth at Harvey and are surprised at further betrayals). 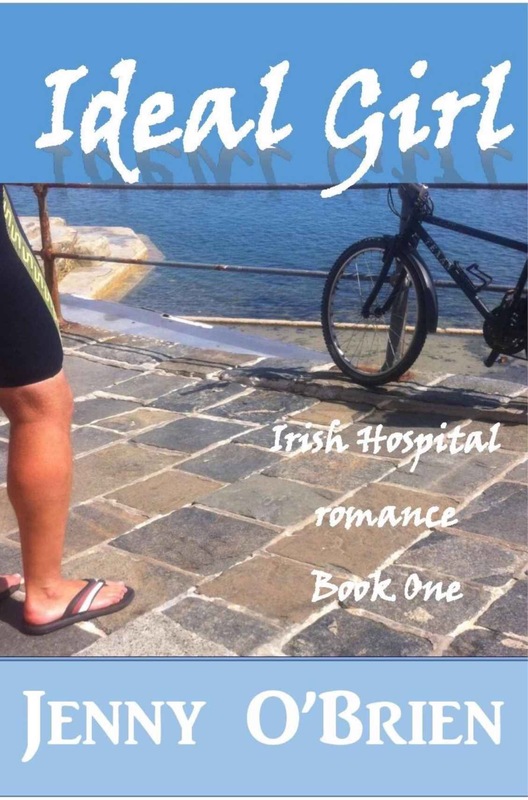 So, a new direction but filled with solid writing, expert characterisation, some nicely raunchy scenes and a great sense of pace, this is another winner from Sue. Very highly recommended. If you’re looking for fabulous festive fun with friends and a sunny twist, The Holiday Swap has it all. Zara Stonely always delivers pacey, well written fiction, and she’s done it again here. Her characters are grounded and believable, and then there are the beautifully drawn Cheshire locations. This time she’s gone a step further and tossed in the glamour of Barcelona too. Alongside snowy Tippermere, with its cottages and toasty log fires, we have beaches and tapas bars, which means this story fits equally well as a sun lounger read, or a sofa curl up. The two story strands follow heroines, Flo and Daisy, who couldn’t be more different. But exchanging homes lets them see their lives more clearly. With lots of humour and a touch of love along the way, this refreshing new take stands out from the crowd. A lesson in seeing second chances, and grabbing them by the collar. Which reminds me to mention the animal stars too. If you’d enjoy falling in love with delicious heroes, or a wonderful wolf hound, step this way. An eerie tale about a young girl arriving at a remote boarding school, which seems to possess secrets within its ancient, ivy-covered walls. A chance discovery of a mysterious heritage soon reveals her true personality. This short YA story had all my favourite ingredients, gothic buildings, mystery, magic forces, which pulled me into the story right until the finish. The writing style flowed perfectly, painting vivid pictures, without overdoing it. 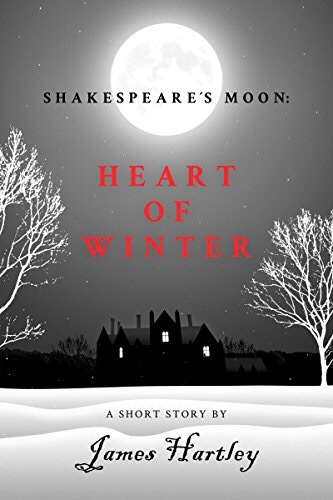 This is a prequel to The Invisible Hand, part one of the Shakespeare’s Moon series of books, and I must say convinced me to pre-order the main book. Check it out, can highly recommend it! I have been waiting for this book to come out so I could find out what happened to Eva. Would she find love like her two best friends had or would she end up an old maid? I need not have worried as yes she did find love and with a handsome and rich writer. (Are all writers handsome and rich I wonder). Once again when I started Sarah’s new novel I couldn’t put it down, I was held captive trying to find out what happened from start to finish. It was nice that the whole book was based around Eva and Lucas and only had a few mentions of the other friends as the other books devoted lots of words to all three of them. I think this for me was the best book of the three. I especially loved the rapport between Eva and Lucas and the fact that she didn’t like the books that he wrote (nor would I). 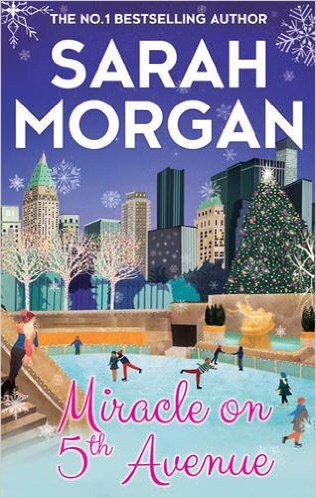 I am now wondering what happens next, do we get another one to follow the last three, Sleepless in Manhattan, Sunset in Central Park and now Miracle on 5th Avenue as I would love to hear how the girls got on with their weddings and also how their business progresses. I loved the first book in the series so had this on pre-order. It was great to catch up with Poppy and Rafe again, but I have to admit it was the fact this story involved sisters that really grabbed my attention. I’ve got sisters, was married last year and am addicted to Cornwall – so how could I resist? 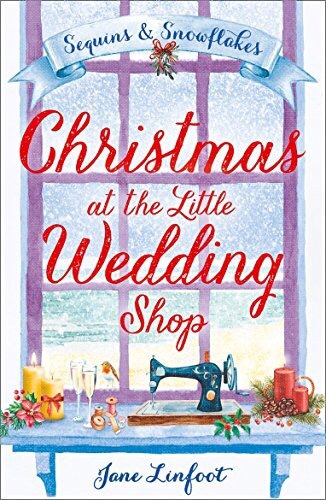 The story didn’t disappoint – with two hunky best men, the type of disasters that leave your heart in your mouth, and the most gorgeous wedding this is a real laugh-cry-swoon kind of book. It left me with a warm fuzzy feeling and ready for the festive season. This was my first Christmas read of the year, and I couldn’t have picked a better one. I was a RoNA judge this year, which was amazing. I got to read cross genre romances that I would never dream of reading and found I expanded my TBR because of – not good. 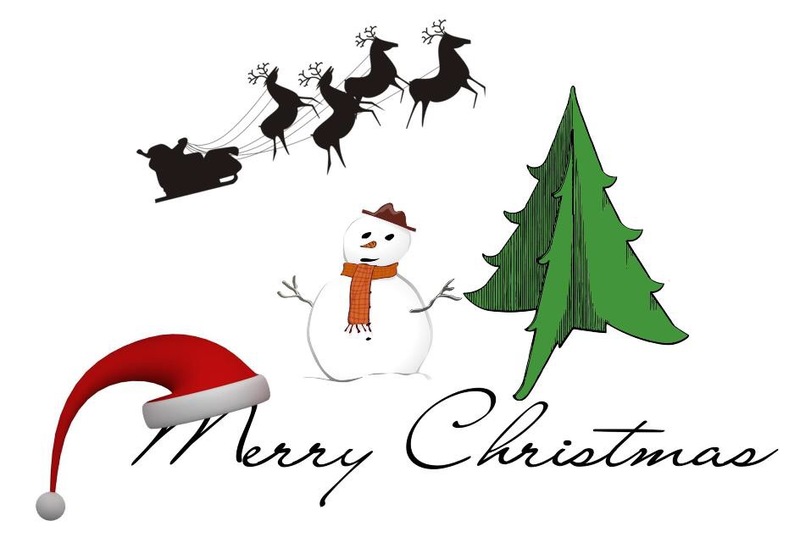 Rachel Gilbey, very well done – I’ll be in touch regarding where to send your prizes Rachel. I should have guessed a book blogger would get them all right. Look at all these lovely books, some you’ve already seen, some yet to post. It looks like a Christmas window at WH Smith, but even better. Now now did you know I write poetry? No, neither did I but with Nanowrimo taking over the rest of any spare time I have I came up with this. I have a letter from Mr Darcy, or at least the actor that played him in one of the adaptions – and you wonder why I write romance. I once auditioned for RADA. I once painted the hall fluorescent pink without telling my husband, to match the red bathroom you understand. I can knit but not crochet.